A researcher from Queen’s Management School has developed an interactive map of the island of Ireland, which shows the impact the Great Irish Famine had on the population during the nineteenth century. The map is part of a broader research project, funded by the Economic and Social Research Council and entitled ‘The Causes and Consequences of the Great Irish Famine’, led by Dr Alan Fernihough, a Lecturer in Economics from Queen’s which sets out to examine both the contributing factors and outcomes of the famine. 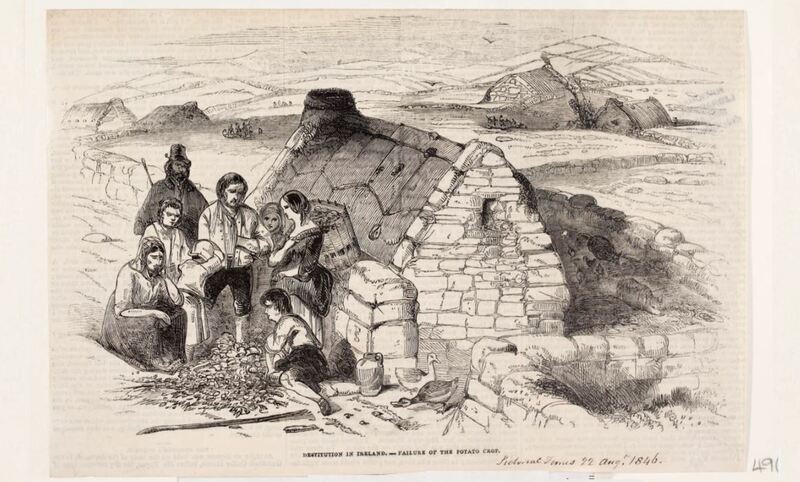 The Great Irish Famine, or the Irish Potato Famine as it is also known, was arguably the single greatest disaster in Irish history, lasting from approximately 1845 – 1851. The main cause of the famine was the failure of the potato crop for successive years, which resulted in mass starvation and death from sickness and malnutrition. Dr Fernihough analysed a wide number of contemporary data sources, including the 1841 and 1851 Census of Ireland and the Poor Law Commissioner’s reports, in order to compile the repository showing the impact the famine had on the different civil parish areas. Ireland’s population is believed to have fallen from approximately 8.5 million to just over 6 million during the period of famine, with an estimated one million people dying and over one and a half million emigrating to Britain, the United States, Canada and Australia. The map is the first interactive tool of its kind to combine Famine-related demographic, social, and economic data sets in any easy to use mobile-friendly website. “The website will be of interest to anyone looking to find out more about the Irish Famine. It’s not just about population loss, the website contains information on the impact of the famine on the proportion of families in poor housing, agriculture, alongside information on literacy. It is a piece of history that you can touch. “You can use the location services on your mobile phone to find out the impact of the famine wherever you are located in the Republic of Ireland and Northern Ireland, something that would be of particular interest to tourists,” concluded Dr Fernihough.